There are many platforms and plugins to build E-commerce website or your store easily without the need to be professional programming. We wrote about ecommerce plugins before and now we are trying to write about bigger scope on the difference between each two. WooCommerce is started in the year 2011 by Woothemes. Now, WooCommerce is one of the powerful ecommerce plugin which is an open source eCommerce platform built on top of WordPress. It allows you to create an online store easily, accept payments, manage inventory, and more. It runs on top of WordPress platform, which gives you access to thousands of WordPress plugins and themes to grow your eCommerce business. WooCommerce now has almost 10 million+ active users worldwide which is 30% of the whole ecommerce market. In the directory of WordPress.org, it has over 567 WooCommerce Themes and in mojo-themes, there are almost 240+ WooCommerce theme available. That makes it over 1800+ themes in total. Magento is also an open source eCommerce platform which allows businesses to create all the functions that you need to create ecommerce website, online stores, accept payments, and manage products. It has a community edition available for free download. It also has paid solutions which come with additional features, cloud hosting, and support. Magento has started since the year 2008, developed & founded by Varian, Inc. They are currently ruling over the 8% of the total E-Commerce market. Magento is one of the vast & robust E-Commerce application available in the market. Now, Magento has 25000+ active user with a yearly transacted gross merchandise volume of over $50 billion. 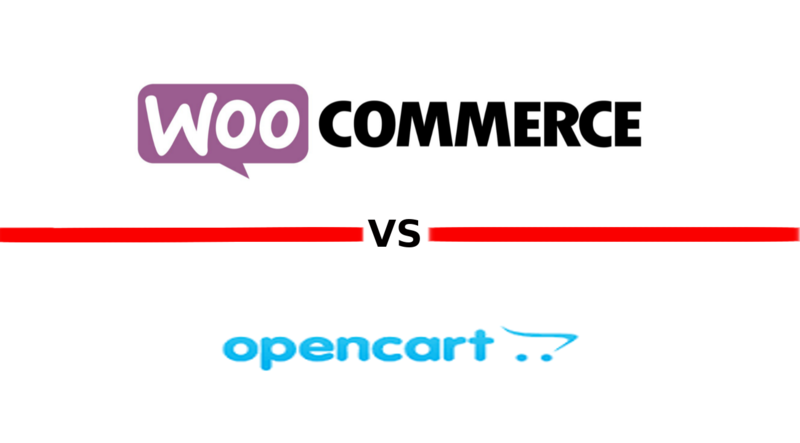 WooCommerce is a little easier to use compared to Magento. WooCommerce is a WordPress plugin so you have to install WordPress if you wanted or note, even if your host doesn’t automatically install WordPress. Just few clicks and WooCommerce will be installed. After setting up WooCommerce, you will finds a lot of instructions that help you to complete each part of your ecommerce website. Despite of the ease of WooCommerce, there is still a bit learning curve. Magento is a powerful eCommerce specific platform which has tons of built-in features that work out of the box for each part of your website. It comes with an advanced setup process that can be complicated for new users. It is not easy to install and most hosting companies do not offer pre-configured installers for Magento. Developers only have the ability to adapt with Magento installer language which may leave beginners a bit clueless about several important settings. By default, WooCommerce supports PayPal and stripe but if you need more payment gateways, you need to get more extensions or addons. Either, you can search for the othe payment companies inside special countries for special payment method for your store. Magento comes with PayPal, Authorize.net, cash on delivery, bank transfer, and purchase order payment methods by default. For other popular payment gateways including Stripe, 2Checkout, Braintree, WePay, Google Checkout, Skrill, you need to get more extensions. Magento’s APIs allow developers to easily integrate payment gateways. If the payment gateway you are looking for is not yet available, then you need to hire a developer to add it for you. As WooCommerce is one of the popular ecommerce plugins, you have the access to more than 55000 plugins and addons free or paid. You can use addons for analytics, contact forms, memberships, Email marketing, CRM softwares, SEO plugins, and many others. You have a huge collection of third party plugins to empower your work. Magento has a huge community of developers and partnerships with many agencies. You can use a huge number of third party plugins for all your needed functions. At the time of writing this article, Magento Marketplace had 3751 extensions out of which 1182 were available for free so go and use them. WooCommerce is designed to be powerful ecommerce platform but when it comes to scalability, you will face some challenges in development and cost. But still there are many other alternatives that can support you until you finish your upgrading like some affordable high performance cache plugins. Also, there are many other hosts company that can help you to scale and grow your business. 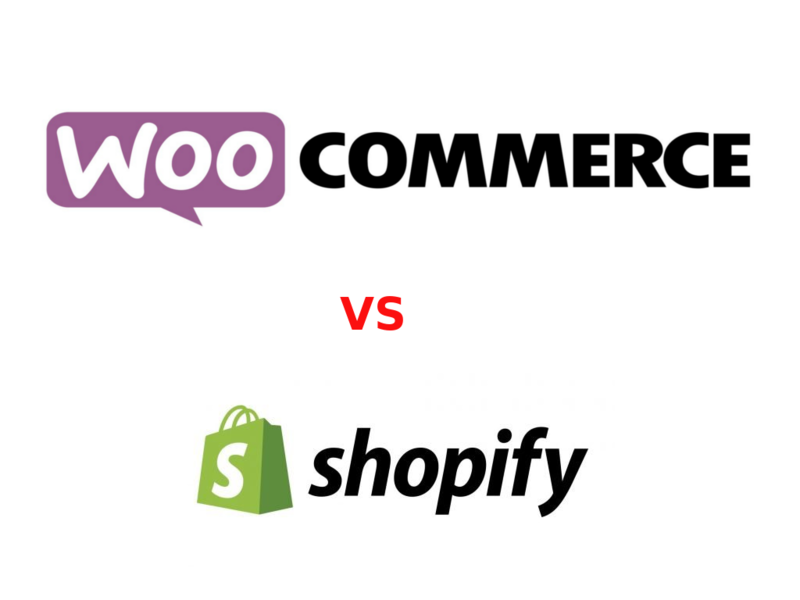 According to development, you will need a developer and for WooCommerce, yo can find as much as you want from a huge community working on it but the difference between WooCommerce and Magento is that the price for this development is cheaper for WooCommerce. The same problem in Magento about scaling with the same challenges. For scaling on Magento, you have to move to more powerful server that can keep up with these updates and you can use Amazon web service or any other cloud services you would prefer. Easy to start with it. Enterprise version is supporting scalable business. Strong product data capabilities for large and complex catalogs. Weak database architecture for high order volume and scalability. Weak product data capabilities for large and complex catalogs. Larger learning curve to use. Weak CMS capabilities for content heavy sites. Frontend theming is more complicated. This is a fully open-source platform so anyone can download and set it up on any server they want. But you may need the help from some third party plugins which may be so expensive in some cases. The default themes for WooCommerce isso naive so you may need to buy an ecommerce theme which compatible with WooCommerce and suitable for your work. Aside from that, your web hosting costs will depend entirely on the size of your enterprise and the packages your provider offers. As we mentioned before, there are a handful of quality web hosts that work well with WooCommerce. Magento’s Community Edition is open-source and free for anyone to use, so your only cost will be based on your current hosting provider. On the other hand, users who are interested in the Enterprise Edition will have to shell out a pretty penny. WooCommerce is a powerful plugin for the WordPress ecommerce websites. You can find all the needed features that should be found on an e-commerce solution, while retaining the ease-of-use of its parent platform. Magento is an e-commerce platform offered for web development professionals, and medium to large online stores. Also, It offers one of the most robust feature sets in the field, which makes it ideal for stores with high aspirations. Loading times are very important for any website and more important for e-commerce. If your website takes too long to load or feels sluggish, some people will leave, taking their money and your revenue with them. When it comes to performance, it’s complicated to figure out which solution is the overall winner. Each online store – regardless of platform – will behave differently due to its functionality and size. Furthermore, there are several more factors at play here, such as your choice of web hosting provider, whether you’re using a Content Delivery Network (CDN), or even whether your images are optimized. To put it simply, the performance of your online store will depend mostly on you, and your hosting provider. The importance of security when it comes to e-commerce platforms can’t be overstated. You have to protect the customer information especially the payment information so it’s unacceptable to leak this information out.. Similarly to performance, your online store’s security is in large part up to you. Both WooCommerce and Magento enable you to implement several advanced security measures but mostly through extensions and manual tweaks. However, while no platform can be 100% secure, Magento takes the lead in this aspect by offering dedicated security patches to its users. But Magento security patches aren’t particularly easy to apply. E-commerce beginners might feel out of their depth doing so on their own which in turn leads to a significant amount of Magento stores being out of date. Nevertheless, if you take security seriously and you have some experience with web development, Magento is the clear winner. 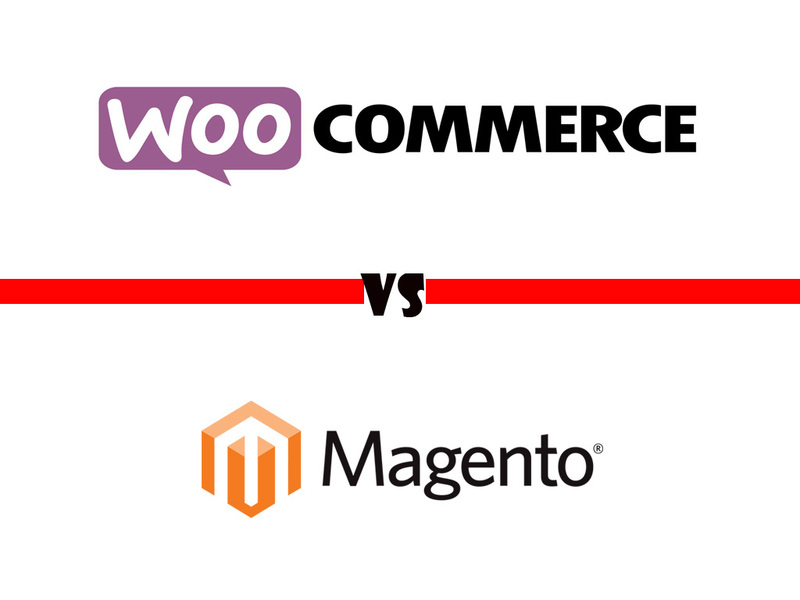 Both WooCommerce and Magento has some of the most advanced and innovative features. But their user base might be very different from one another. So picking just one of these two great E-commerce platform won’t be justified simply due to the fact of its variant user base. 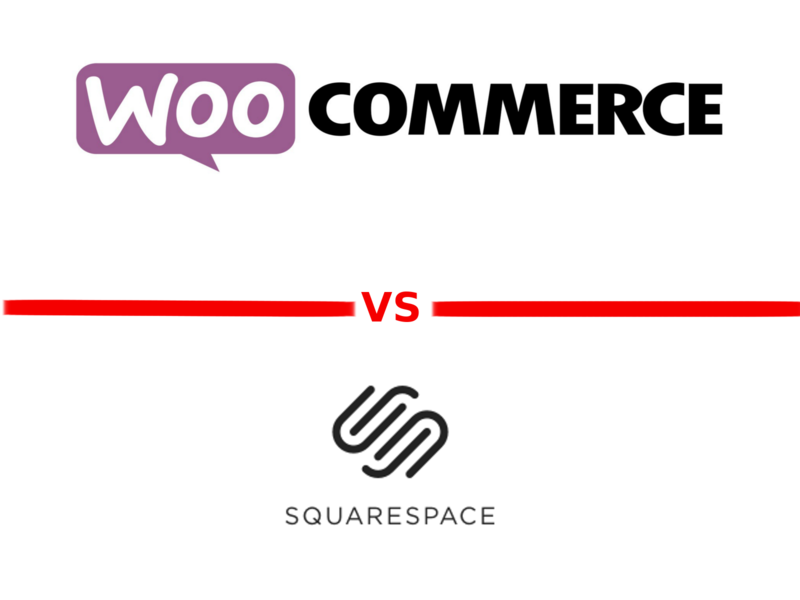 In the end, it’s quite evident and safe to say that WooCommerce is an application mainly designed for all types of businesses. It simply does the work of selling products and once it grows bigger, it can include more functionalities by adding extensions to satisfy its customers. And for WordPress users, it is definitely the ideal platform to go for. So pick WooCommerce if you already have a WordPress site set up and want to own a small budget E-commerce business to sell products through it. In case you want to start big, you can include all the premium extensions of WooCommerce. On the other hand, Magento is a platform more popular among big business companies and corporations. Please note that WooCommerce is 6 times more popular than Magento. However, Magento is highly scalable making it ideal for the people with bigger plans or with other large successful online ventures. It works brilliantly once you install it by a specialist developer. The extensions are quite impressive and high end as well. So pick Magento if you have the mindset to go big right from the beginning with no shortage of funds. As setting up an e-store with Magento requires a huge budget and proper development team.